Matthew Mansfield began attending Christ Community Church in January of 2009. He and his wife Laura have been married for 7 years. They have three children, Abigail (17), Evan (14) and Liam (11). 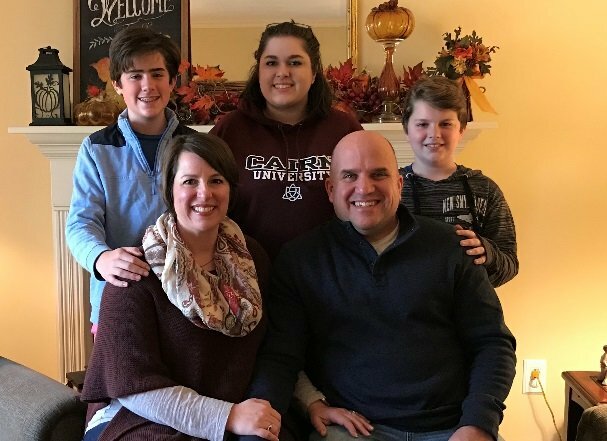 Matthew has served the attendees of CCC through the Blended Families Ministry, Marriage & Family Ministry, Men’s Ministry, High School Youth Ministry, and Small Groups. Matthew grew up in a military family and lived in 13 states and in Germany before serving himself in the United States Air Force. Matthew is currently the Purchasing Manager for Sign Design, Inc. Matthew and Laura are proud residents of Taunton. Matthew is passionate about serving God’s people and his family.